EFCC Arrests Two For Operating Examination Malpractice Websites | The Economic And Financial Crimes Commission (EFCC) has arrested two people suspected to be operators of examination malpractice websites. Emeka Ebunoha and Igwe Obumneme Samuel were arrested in Port Harcourt, the Zonal Head of Operations of the EFCC, Mr Nnaghe Obono Itam. Itam made this known while addressing newsmen on the activities of the Zone in the last 9 months on Wednesday in Port Harcourt, Rivers state. He said Emeka and Samuel are a part of an internet syndicate selling leaked examination papers to students sitting for the West African School Certificate Examination (WASCE). They are also allegedly responsible for leakages of examination papers of the National Examination Council (NECO) and the Joint Admission Matriculation Board (JAMB). The two suspects are allegedly running two websites: www.examsort.com and www.expomata.blogspot.com. 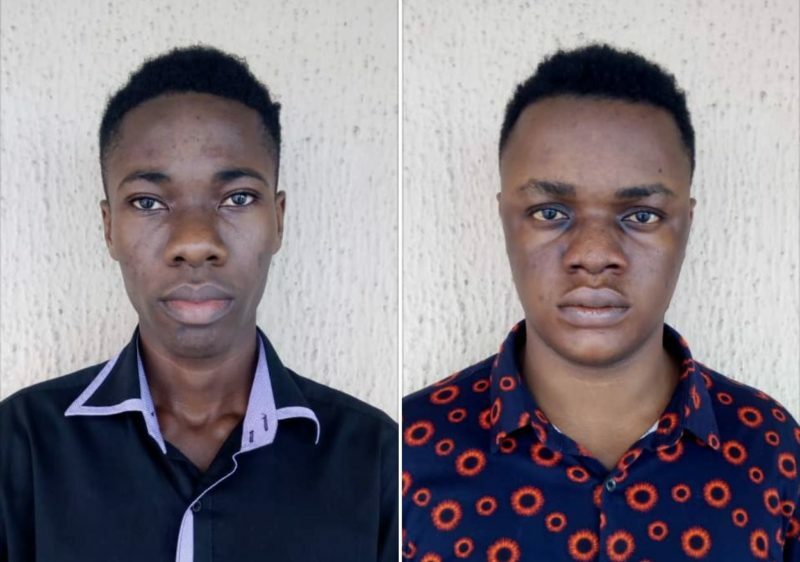 They confessed that the websites were created to sell leaked examination questions and answers to students and that they were being paid through payments into their bank accounts or through receipt of recharge cards from students patronising them. The two suspects would soon be charged to court.